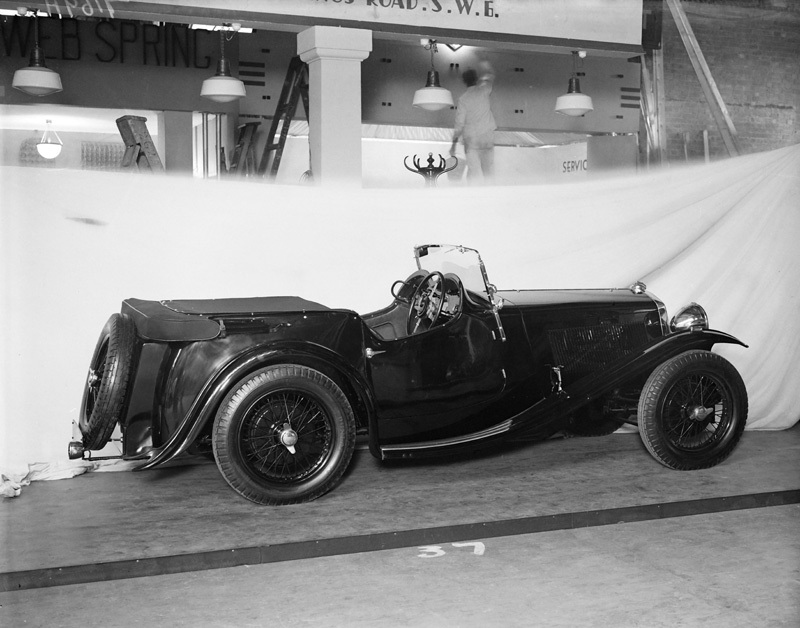 This photo of a 1934 Wolseley Hornet EW Daytona Special was taken on the Whittingham & Mitchell stand at the 1934 Olympia Motor Show in London. W&M were a Chelsea based coachbuilding firm, who under contract from Eustace Watkins, (Wolseley main dealers and also located in Chelsea) constructed bodies for the Hornet Special chassis. According to Nick Walker (author of the A-Z of British Coachbuilders – Bay View Books 2007) W&M were eventually acquired by Eustace Watkins, although not exclusively to build bodies for Wolseley cars, the firm providing bodies for a variety of marques.